We first wrote about Greubel Forsey’s Mechanical Nano, a new technology aimed to reduce size and power consumption of a watch calibre, last January. By applying this technology, it is possible to reduce the number of required working parts and, as a consequence, use less space with less need for energy. 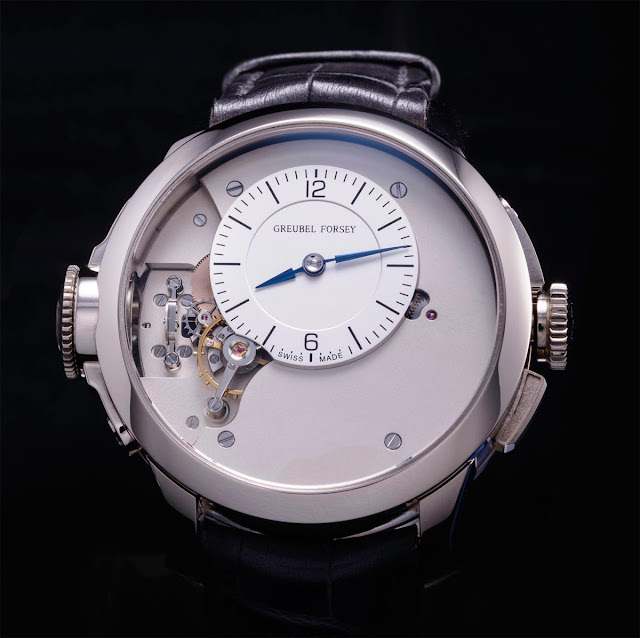 In the process of developing a 180-day power reserve movement, Greubel Forsey decided to apply Mechanical Nano to the foudroyant jumping seconds mechanism. This watchmaking complication consists of a hand that makes one rotation every second to indicate the fractions of a second. Following the recent application of patent No. EP 3220207 A1, Greubel Forsey is now unveiling the first Nano Foudroyante EWT (Experimental Watch Technology). 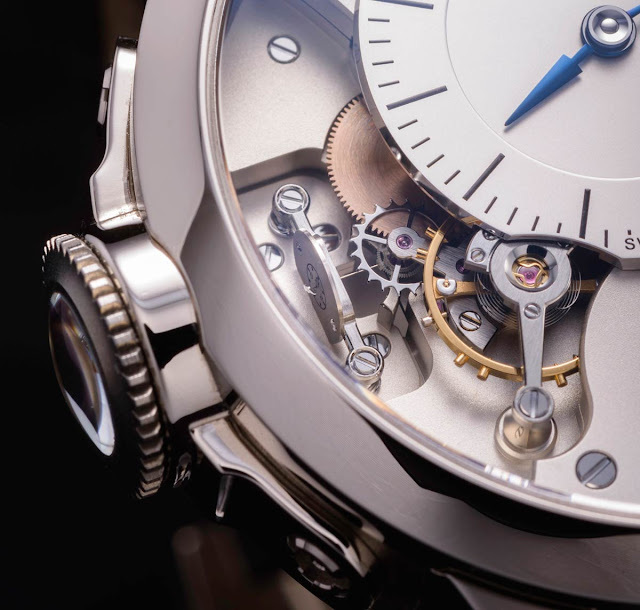 Mechanical Nano has led Robert Greubel and Stephen Forsey and their team to completely rethink the mechanism of the traditional foudroyant jumping seconds. This new construction consists, first of all, of a mobile (a) with a very low moment of inertia, which takes its information directly from the escape wheel (b). 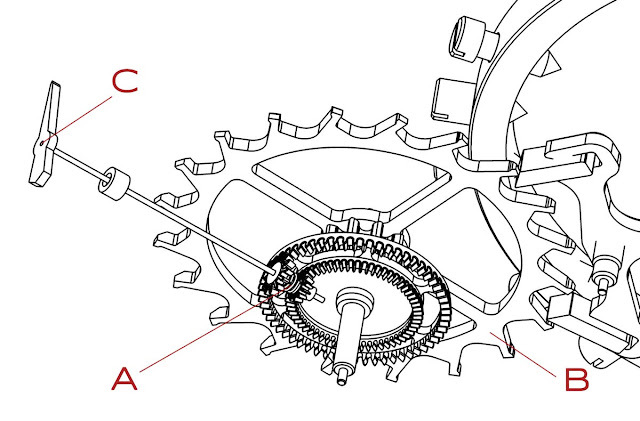 This principle means that a full gear train is no longer needed to ensure the sub-division of seconds (c), since the information is obtained from the wheel, which distributes and gives the rhythm to the energy of the movement. Energy consumption is reduced so much that can now be expressed in nanojoules (nJ). The display of the Nano Foudroyante EWT is by a miniature hand which can be read by using an optical system with 23x magnification. Compared to a traditional foudroyant jumping seconds mechanism, the Greubel Forsey Nano Foudroyante EWT consumes 1,800 times less energy and occupies 96% less space. 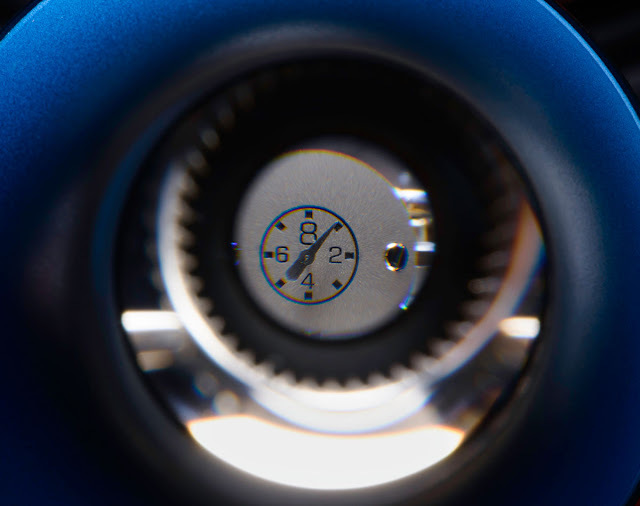 All of this research has made it possible to create a truly original and innovative foudroyant jumping seconds mechanism that makes best use of energy and available space in the movement of a mechanical timepiece. We first wrote about Greubel Forsey’s Mechanical Nano, a new technology aimed to reduce size and power consumption of a watch calibre, last January. The key idea around this project is that, by applying this technology and reducing the number of required working parts, it is possible to use less space with less need for energy. 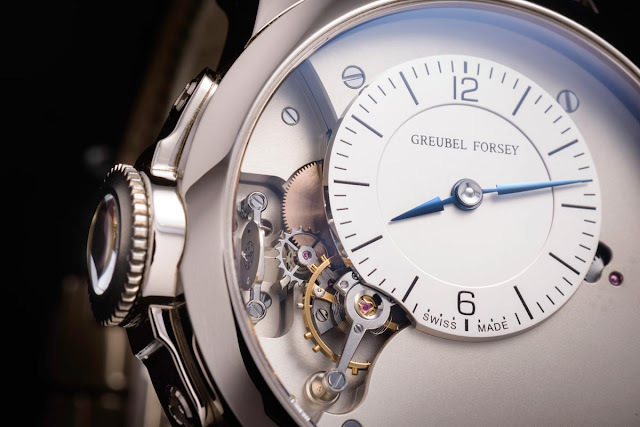 In the process of developing a 180-day power reserve movement, Greubel Forsey decided to apply Mechanical Nano to the foudroyant jumping seconds mechanism.